Last week, the Federal Reserve raised interest rates. As usual, this announcement caused a lot of fuss in the financial world, because whenever the Fed makes a move like this, it's big news because it affects a lot of things within the national economy, including the interest rates on your credit card. The Federal Reserve announced that it would raise interest rates a quarter of a percentage point, meaning that its interest rate will go from one-half of a percentage point to three-quarters of a percentage point. This is the first time in a year that the interest rate has been raised. In fact, it's only the second time the Fed's raised interest rates in ten years, as it kept interest rates incredibly low to reinvigorate the economy during the Great Recession. Keeping money at a rate that makes it cheap to borrow is helpful to stimulate the economy, but to stave off inflation, the Fed may need to raise them. The Fed's decision to increase the rate this month comes from a number of sources. First, the labor market is doing better. Companies are hiring more, and the unemployment rate is down. Secondly, consumers are spending more--the Fed says household spending is rising moderately. Thirdly, inflation increased a little bit, but it's still below the Fed's expectations. On the flip side, business fixed investment is not as strong as the Fed thought it would be. When the Federal Reserve raises interest rates, banks usually also increase the interest rates they charge. CNBC reported that after the Fed's rate increase, Wells Fargo, U.S. Bancorp and JPMorgan Chase all raised their prime interest rates. 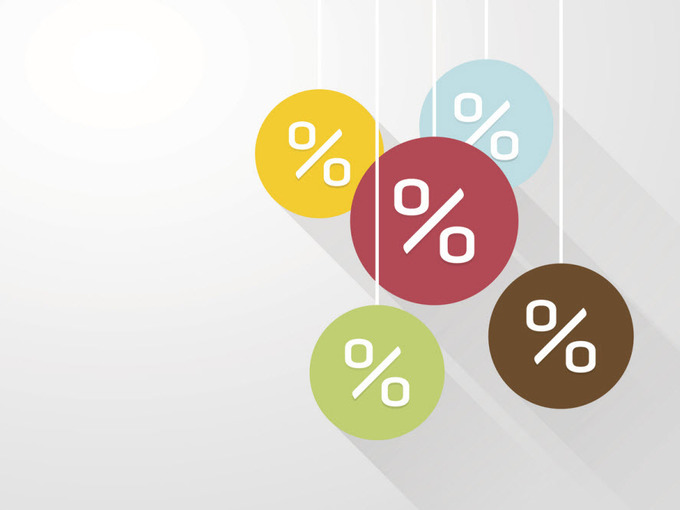 On paper, Wells Fargo increases its prime rate to 3.5 percent doesn't seem like much of an interest rate, but for credit cards, which tend to have a variable interest rate, APR terms are "prime plus an additional percentage." This means that those interest rates will go up as well. It may take a couple of billing cycles to see the increase, depending on the bank that's issued your credit card, but those rates will jump as the banks change their prime interest rates, and your credit card statement will reflect that. If you don't have any credit card debt, then the rate hike means nothing to you, as you don't pay any interest from month to month. You'll just see the fact that you're paying a higher interest rate on your card. However, if you do have credit card debt, it does mean you're going to pay more for borrowing that money. Personal finance website NerdWallet says that this round of Fed interest rate increases might not hit your wallet too hard right away. The site recently analyzed the amount of credit card debt Americans are carrying, which is an average of $16,061. That kind of debt translates to about $1,292 in interest payments on the average credit card. Of course, such a small movement in rate increases could mean that it might be difficult for you to notice the changes on your bill. NerdWallet says that this rate increase likely will only cost about $17 more for the average credit card. However, the Fed thought it would raise interest rates several times this year and have a rate that was a full percentage point greater than it was this time a year ago. The higher interest rates go, the more that it will increase the amount of interest consumers will pay on their debt--and consumers with a lot of debt, high interest rates or a combination of the two could really start feeling the pain in their wallet if the Fed raises interest more often than it has over the last decade. This might make it a good time to try to pay down credit card debts and save the money paid out in interest to build up personal assets instead.